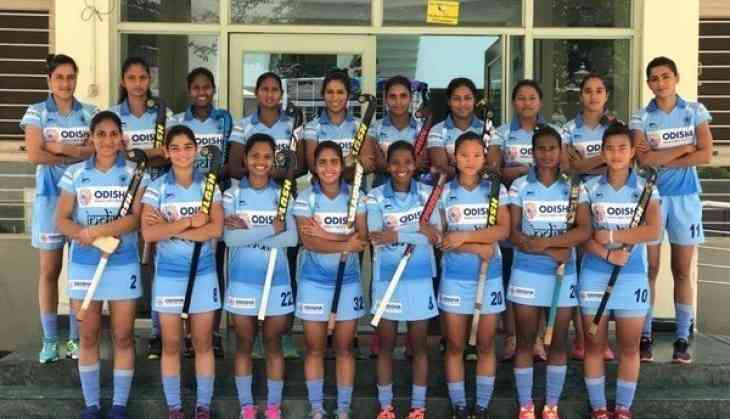 The Indian women's hockey team held hosts Korea to a 1-1 draw in the fourth round-robin match of the 5th Women's Asian Champions Trophy here at the Sunrise Stadium on Saturday . With this draw, the Indian team, led by defender Sunita Lakra, go into the final on Sunday as the table toppers. Earlier in the tournament, India had defeated Japan (4-1), China (3-1) and Malaysia (3-2). Despite Korea's high press right from the start of the match, India managed to win the first penalty corner of the match in the fourth minute. But drag-flicker Gurjit Kaur's flick was padded away by the Korean goalkeeper. Though India made forays into the striking circle, breaking Korea's defence was an uphill task. Korea, meanwhile, were the first to make a breakthrough when they forced an error to win a penalty corner in the opening minute of the second quarter. Seul Ki Cheon was brilliant with her drag-flick as she struck the ball to the right corner of the post almost making it impossible for India goalkeeper Savita to save. The following minutes was tense as Korea played out their defensive best to keep India from scoring. After no goals by either teams in the third quarter, an infringement while attempting to defend a shot on goal by Korean attacker led to India concede a penalty corner at the start of the fourth quarter. An ambitious variation by Korea however didn't help score the goal as it was off the mark. Almost immediately, forward Lalremsiami helped India win a penalty corner. While Gurjit's flick rebounded off goalkeeper pads, Lalremsiami was quick to pick up the ball and make a diving effort to flick it into the goal post equalizing the score to 1-1. The hard-fought action heated by in the final quarter with both teams hunting for a lead. In the 54th minute, Korea won another penalty corner but goalkeeper Swati was splendid in her effort to block the goal. Though both teams upped their ante in attack, they could not muster a goal with the match ending in a stalemate.